This is the third volume in The Art Seminar, James Elkin's series of conversations on art and visual studies. 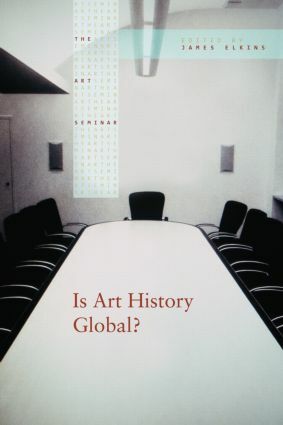 Is Art History Global? stages an international conversation among art historians and critics on the subject of the practice and responsibility of global thinking within the discipline. Participants range from Keith Moxey of Columbia University to Cao Yiqiang, Ding Ning, Cuautemoc Medina, Oliver Debroise, Renato Gonzalez Mello, and other scholars. Is a Truly Global Art History Possible?